– Visit the “Digital Asset Deposit” page. Confirm that you agree with all the digital asset deposit Terms and Conditions in order to proceed. – Select the digital asset you would like to deposit by clicking on the digital assets icons. – Copy your receiving address and paste into your external wallet to withdraw your digital assets. – You can check our deposit restrictions and limits guideline for further information. 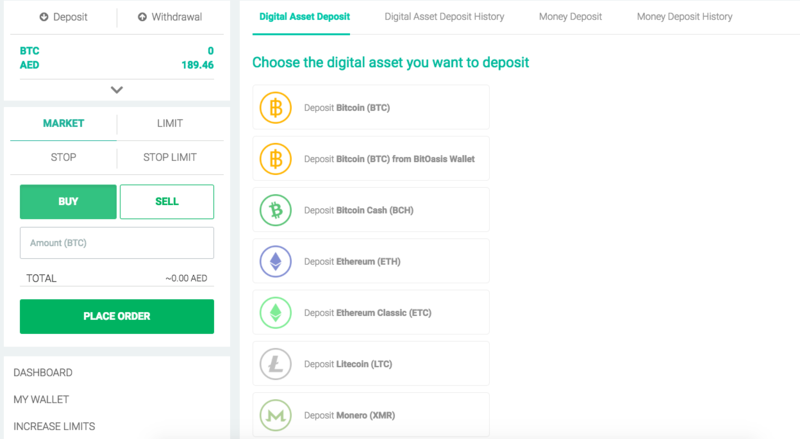 – You can find your digital assets deposits on the “Digital Asset Deposit History” page on the “Deposit” tab.